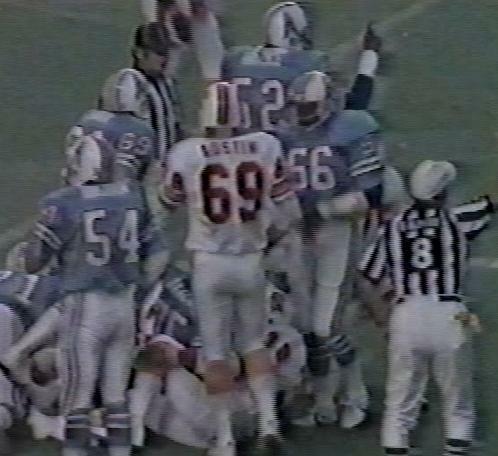 For purely non-sporting connotations alone, there is hardly a British gridiron or come to think ot it, baseball team, that didn't have a player wearing No.69. 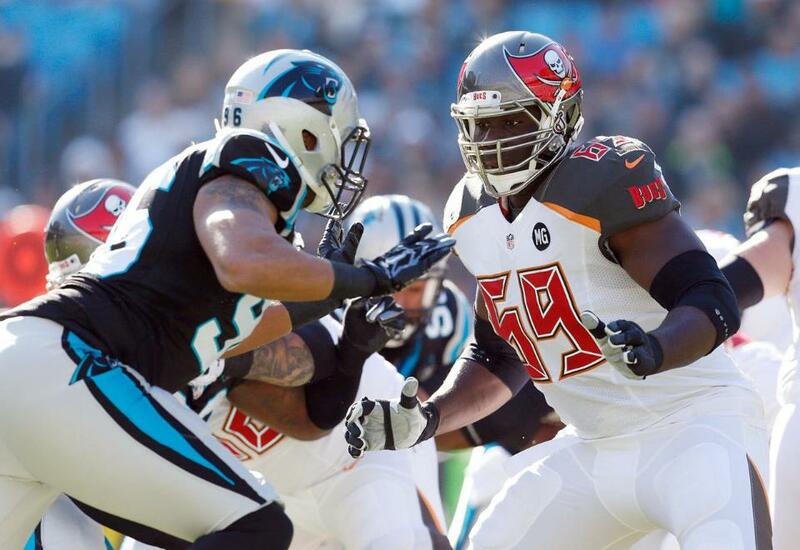 But the number has not been worn that often in Buccaneer colours and picking a best-ever is a pretty tough choice. We originally went for Pete Pierson simply for longevity alone. 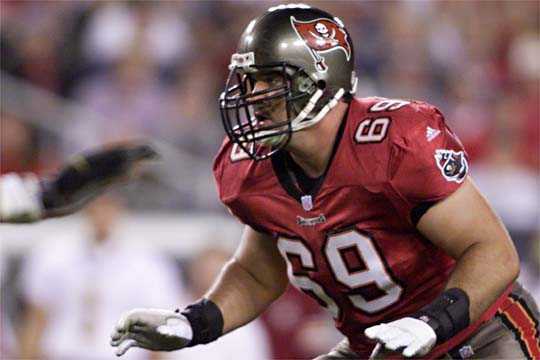 He was cut at least three times during his eight-year Buc career but somehow managed to play in over 100 games and started most of the 2000 season at right tackle. 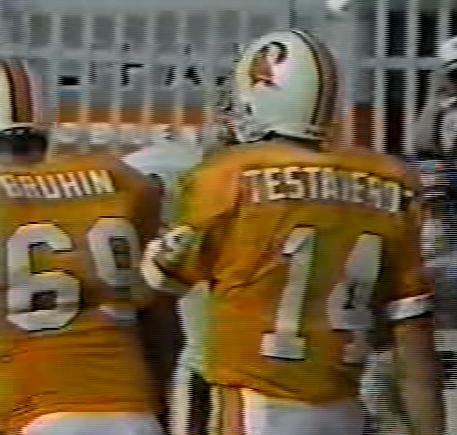 George Yarno wore three numbers during his two stints with the Buccaneers but only wore No.69 in the 1985 season opener. Brian Blados was one of Sam Wyche's former players who saw brief action in two games in 1992. When asked if he had picked up Blados, Wyche replied, "No-one picks up Brian Blados - he weighs more than 300 pounds." 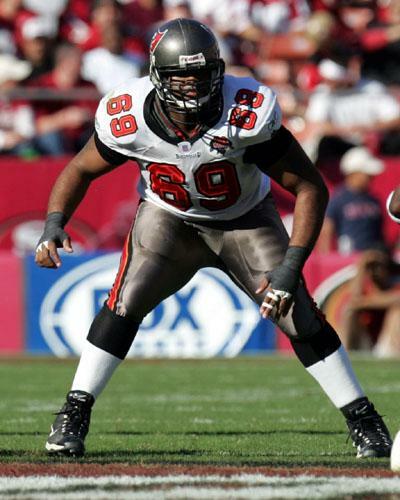 Anthony Davis did a nice job for a couple of seasons at the tackle position but lost his starting spot when he was on the verge of challenging Pierson for the top 69 honour. 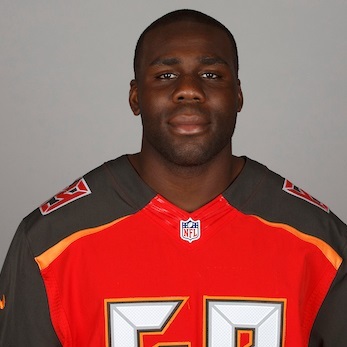 Demar Dotson became a starter in 2012 and thanks to maintaining his position for the past seven seasons, has taken over the best-ever in the 69 jersey.